You've worked diligently to ensure that every eLearning activity, block of text, and graphic element is just right for your eLearning course, but before you rollout your carefully crafted eLearning deliverable it's time for one final polish to make it really shine. In this article, I'll highlight 15 things that you must double check before launching your eLearning course. Ready for Launch? Things eLearning Professionals Need To Double Check Before Launching eLearning Courses! One of the most significant mistakes that any eLearning professional can make is not taking the time to perfect the eLearning course before launching it. Even if you have spent countless hours developing every single component, it's always worthwhile to give it a thorough edit before you roll it out for your audience. 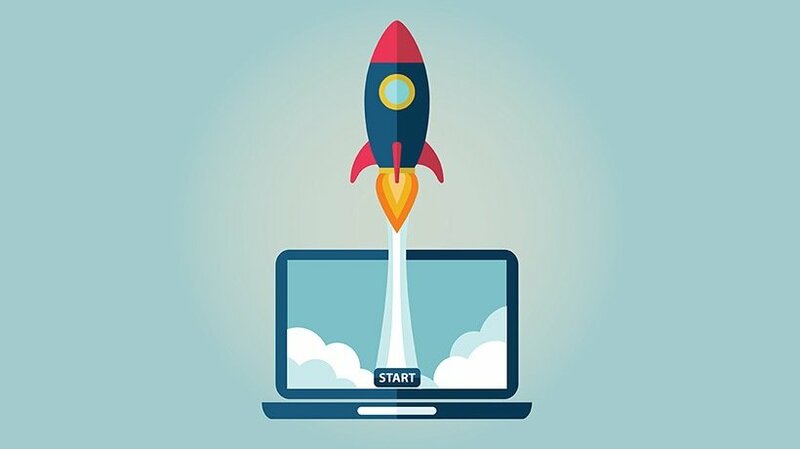 Here are 15 things to double check before launching your eLearning course. Incorporation of learning goals and objectives. It's wise to go over your entire eLearning course and ask yourself whether every element you've included, from the text to the graphics, serves your learning goals and objectives. Everything should be relevant and help your learners to more effectively comprehend the subject matter, rather than distract them from the eLearning experience. Triple check your eLearning course to ensure that all of your commas, periods, and exclamation marks are in their rightful place. Also, spell-check every text block, even those that are part of a video or an image, to make sure that everything is spot-on. Remember, spelling and grammar mistakes may seem insignificant, but they can diminish the overall quality of your eLearning course by making it seem less credible and organized. Every learning unit is self-sufficient. Every learning unit you've created (which is a lesson or module that can support its own learning goals and objectives), should give your learners an in depth look at a given topic. So, make sure that all of your learning units are self-sufficient, and that they fit into the big picture of your overall eLearning course. Is your eLearning course in-line with the brand image of your client or your eLearning firm? Is it reflective of the theme you're trying to create, and does every component help to create an effective and memorable learning environment for your audience? Are your learners able to track their progress while participating in the eLearning course? Have you integrated indicators that they can use to quickly and conveniently see how far they've come, what topic they've explored, and what other lessons they are going to explore in the near future? This will give them that extra boost of motivation they need to become active participants. The navigation of your eLearning course should be as clear as possible. It should include forward and backward navigation icons, a home button, and a link that will take learners to the eLearning course overview screen. Also, make sure that every button is active and that they appear in the same place on every page to avoid confusion. Content stresses real world benefits and applications. Every piece of content should tie into the real world benefits and applications of the subject matter. If not, your learners aren't going to see the real value of completing the eLearning course and, therefore, are not likely to engage in the learning process. Effective use of feedback tools. When learners complete a branching scenario, simulation, or assessment, are you providing them with the effective feedback they need to get the most out of their experience? Ideally, your learners should be positively reinforced every step of the way, so that they can learn from their mistakes. Ensure that you are using feedback tools and techniques to give your learners the support they need. Multimedia elements are supported by all browsers. Learners are going to be accessing your eLearning course on a variety of different platforms and browsers. This is why it's important to verify that your multimedia elements can be viewed on a variety of browsers. Are your audio and video optimized for web viewing? Will they still be effective learning tools if they are viewed on different screen resolutions? Additional resource and reference links. Have you included all of the reference links for any necessary content? Are there any additional resource links you'd like to offer your learners, so that they can access external videos, articles, or sites that may be beneficial? Links are active and relevant. Double check that all of your links are active and that they will appear in a new popup window. This step, however, should also be done periodically after you've launched the eLearning course, just to be sure that the links are still active. Few things are more frustrating than taking the time to fill out a form, clicking the submit button, and then reading an error message telling you that your form cannot be sent for one reason or another. So, make sure that your forms are all active and that you've specified where they should be sent. View your eLearning course on different types of mobile devices, if possible, to verify that you can access all of the content. Also, ensure that it still retains its responsiveness and its aesthetic appeal when it's viewed on a smaller screen. Assessments accurately gauge learner knowledge. Have you created quizzes, exams, and tests that are truly going to gauge learner knowledge? Have you used the right question format (multiple choice, true or false, etc) based upon the subject matter? Do your questions offer the right amount of challenge for your learners, or are they overly difficult or simplified? Lesson summaries that highlight key takeaways. Be sure to include recaps or summaries at the end of each module, as well as brief overviews at the beginning, so that your learners are aware of the key ideas or principles they need to take away from each lesson. Use this final edit eLearning checklist to keep in mind all of the things to double check before launching your eLearning course, so as to ensure that your eLearning course is perfected and polished. Remember, while this process may require time and effort, it will save you the headache of having to make these necessary changes after rollout and after your learners have already seen the eLearning mistakes you missed the first time around. Looking for a comprehensive checklist you can use while designing your next eLearning project? The article The Ultimate eLearning Course Design Checklist presents a checklist that covers every step in the process that every eLearning professional should have at-the-ready during the development process. In addition, if you are looking for effective ways to proofread and edit your eLearning courses, read the article 7 Tips for Proofreading and Editing Your eLearning Course, where you will find techniques that can help you put your best foot forward by developing high quality eLearning deliverables that are always polished and perfected.